Our Kids Shop is Moving Home…and the HB Sidewalk Sale starts today! Lots going on here in Hermosa…The Winter Sidewalk Sale Starts Today! Take 50% off all Sale items at our main shop! And take 20% off all regular priced items as well! That’s in our HB shop only, today through Monday. Our Gum Tree Kids shop is moving home. We’ve had a wonderful 4 years at our kids shop space at 323 Pier Avenue, but we’ve decided to bring our kids product back into our HB shop. It was a great experiment to have a free standing kids shop, and I loved that shop, loved to buy for it and to merchandise it, it was so fun. But in the end, we feel like we will be better serving ourselves and our community by bringing the kids stuff back to where it started, as a part of our main store. So, just as when we opened our doors 9 years ago, Kids will be available back in our flagship Hermosa Beach shop. 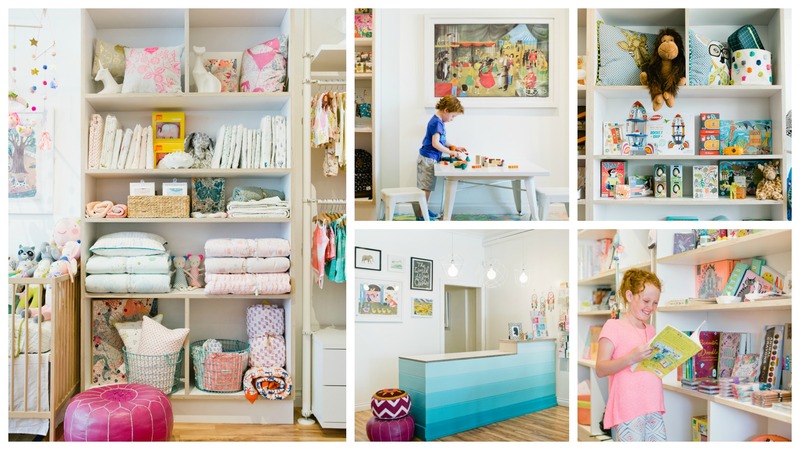 And of course you can also find Kids in our Manhattan Beach Shop. I know it’s a little sad, and I’m not going to lie to you, this was a really hard decision to make. But, I’m much happier than sad at this point. I’m happy we tried something new, I’m happy that many of you loved it and supported it, and I’m happy I learned everything I did. I’m happy that we’ll be able to focus on making our two locations the best they can be, giving you back an easy one stop shopping experience. We will not be carrying as much of the kids clothing, and I’m happy about that too, the clothing business is hard! But I promise I will continue to source the cutest baby and kids gifts out there. And I’m super excited about hitting the shows this month and next to find what’s new. Come on in to Gum Tree Kids ASAP for 50% off ALL merchandise! EVERYTHING in the shop needs to go, furniture and fixtures and artwork too. We plan to be open daily from 10am-5pm until the end of this month. So don’t delay! Again, thank you all so much for your support! Hope to see you soon.